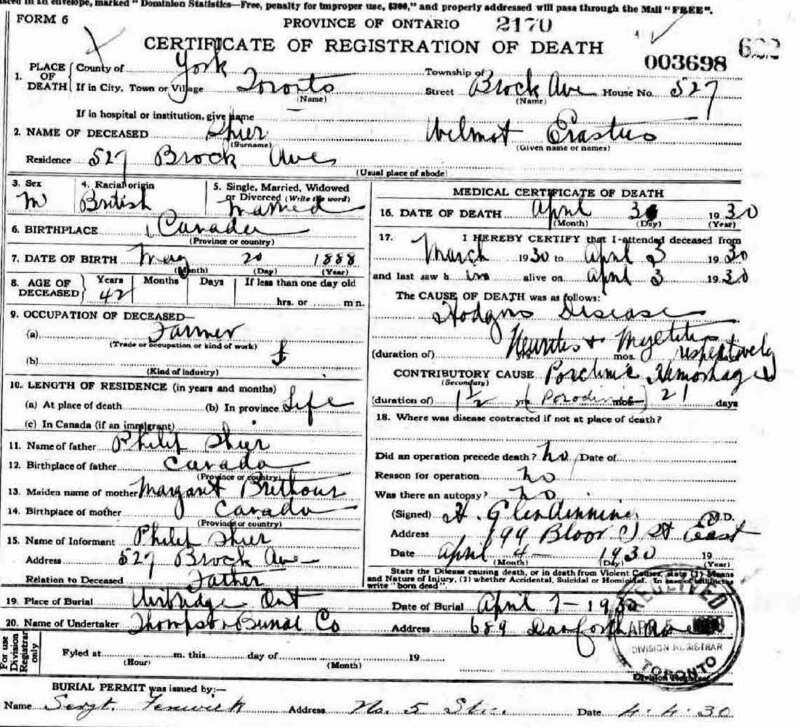 Marriage* He married Dorothy Elizabeth Sparling, daughter of Percival Dunseith Sparling and Helena Beatrice Moore, on 18 June 1934 in Brantford, Brant County, Ontario, Canada. 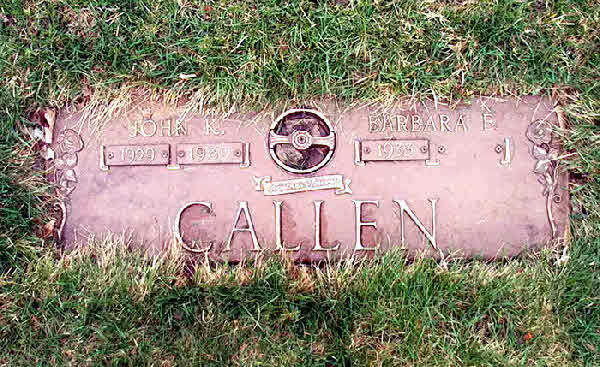 Burial* She was buried in 1985 in Uxbridge Cemetery, Ontario County, Ontario, Canada. 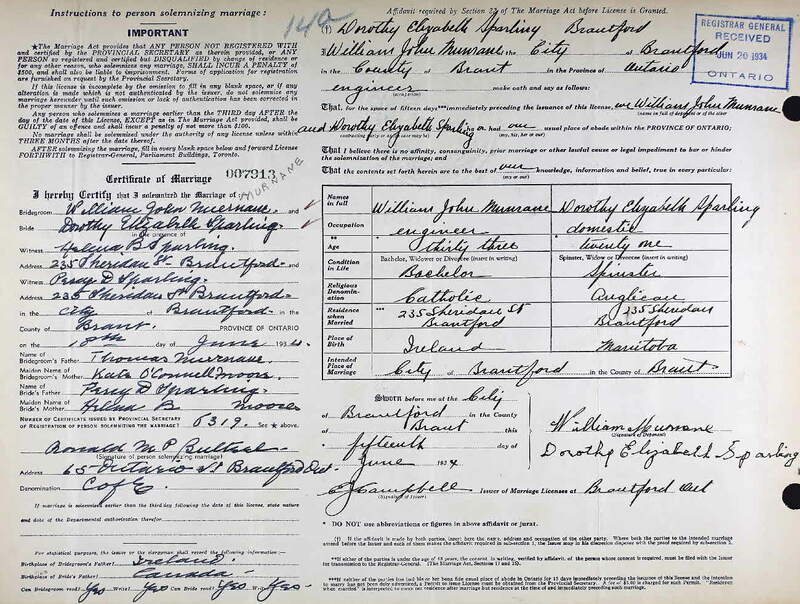 [S10] Unknown spouses' names marriage, Personal Archives of Roger Shier, Greely, Carleton County, Ontario, Canada. 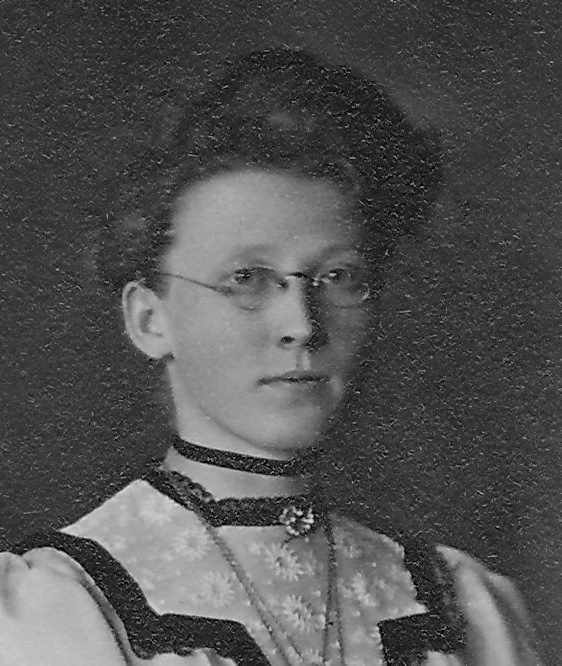 Unknown manuscript info. 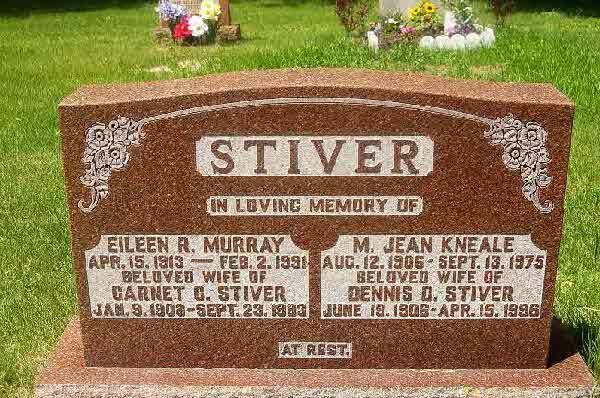 Burial* She was buried in Blythefield Memory Gardens, Rockford, Kent County, Michigan, United States. 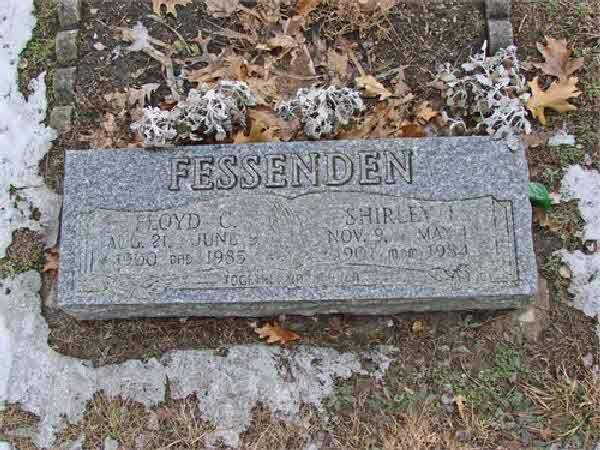 Burial* She was buried in Cannonsburg Cemetery, Belmont, Kent County, Michigan, United States. 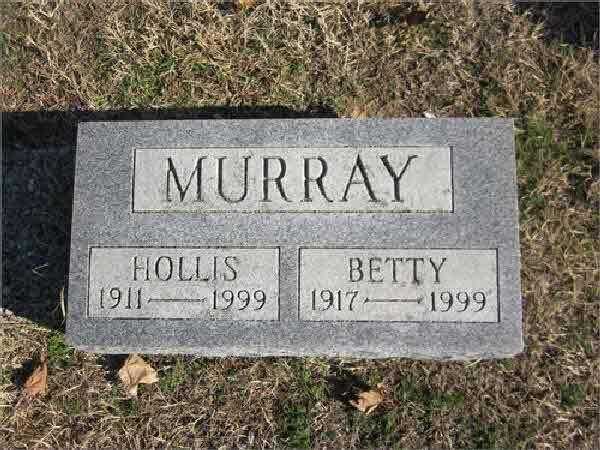 Death* Fred Helmer Murray died on 2 June 1967 in Parkview Hospital, Fort Wayne, Allen County, Indiana, United States, at age 58. 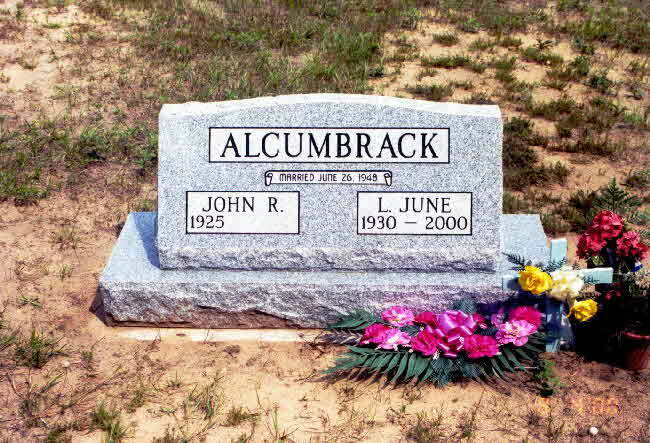 Burial* He was buried in Blythefield Memory Gardens, Belmont, Michigan, United States. 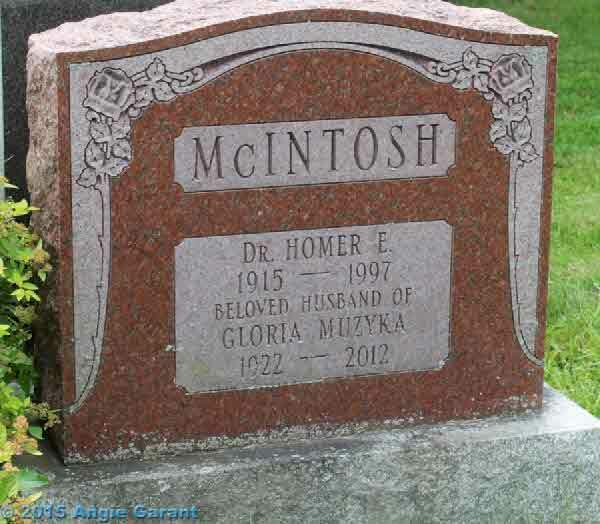 Burial* She was buried in Sandford Cemetery, Ontario County, Ontario, Canada. 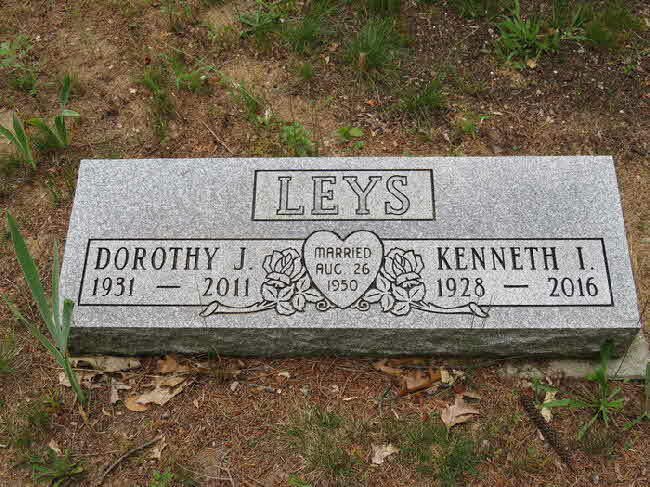 Burial* She was buried in Bracebridge United Cemetery, Bracebridge, District of Muskoka, Ontario, Canada. 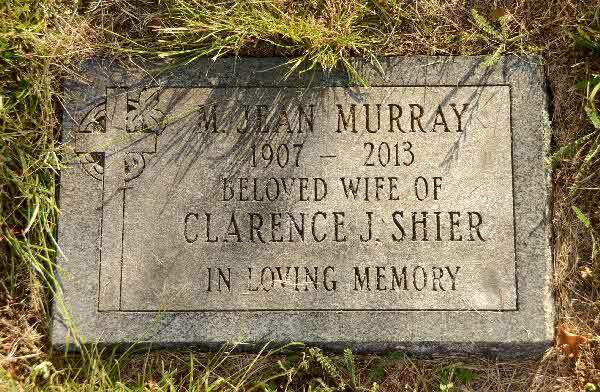 Burial* She was buried in Foster Memorial Cemetery, Ontario County, Ontario, Canada. 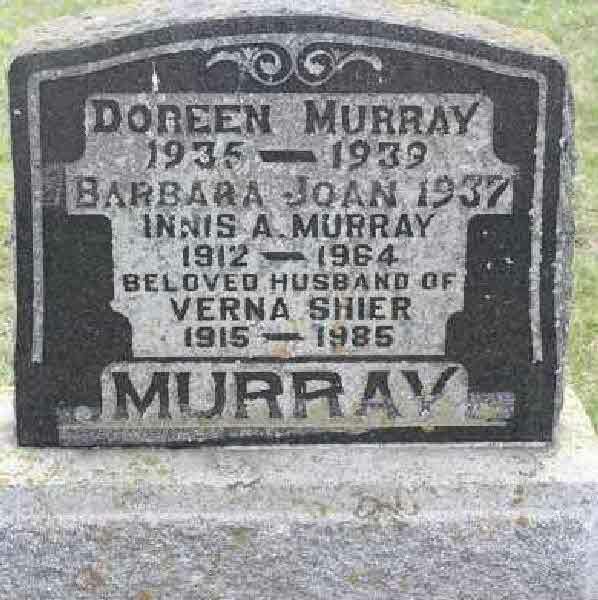 Death* Neta Pearl Murray died on 19 November 1911 in Lot 29 Conc 4, Scott Twp., Ontario County, Ontario, Canada. 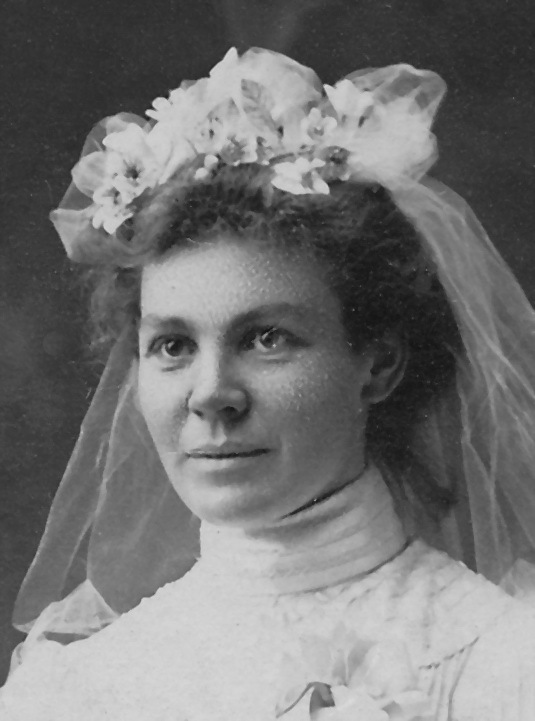 Marriage* Nettie Pearl Murray married William John (Jack) Raney on 25 October 1917 in Uxbridge, Ontario County, Ontario, Canada. 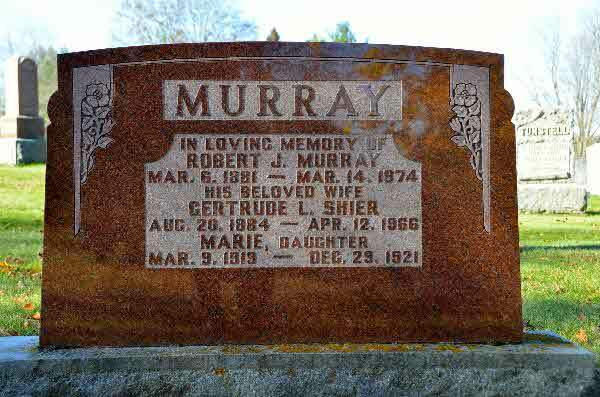 Death* Reta Ann Murray died on 17 November 1911 in Lot 29, Conc 4, Scott Twp., Ontario County, Ontario, Canada. 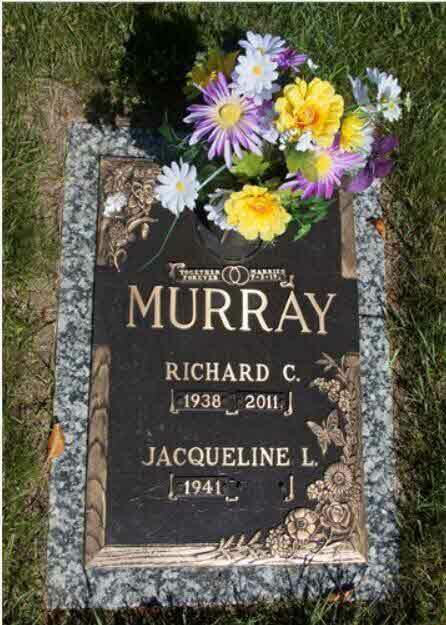 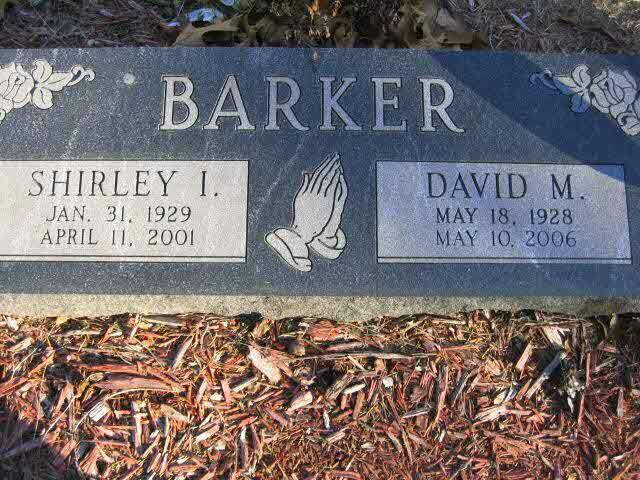 Burial* He was buried in Blythefield Memory Gardens, Rockford, Kent County, Michigan, United States. 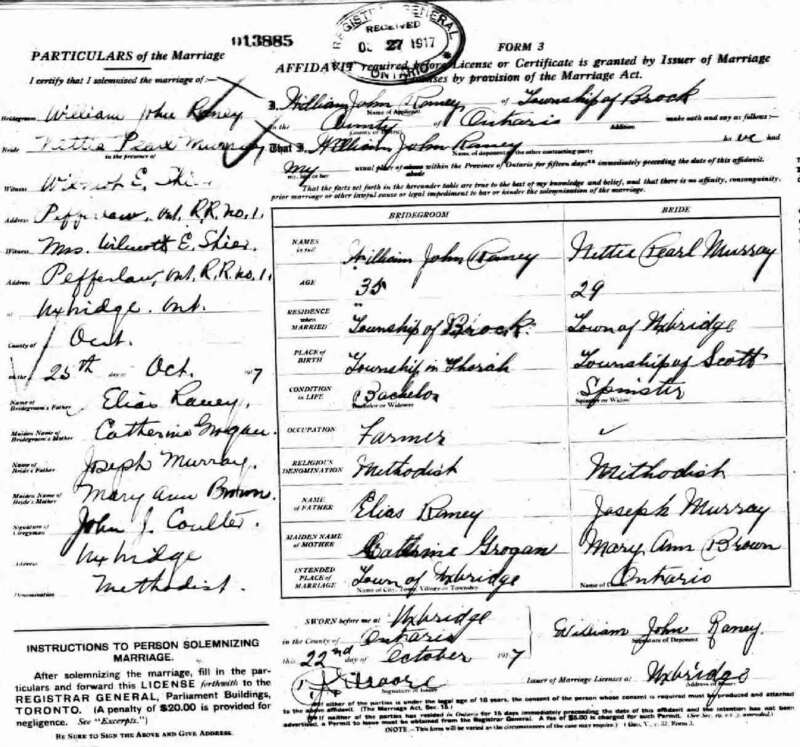 Marriage* Robert John Murray married Levina Henrietta Gertude (Gerti) Shier, daughter of Richard LOFTICE Shier and Mary Ann Speiran, on 11 January 1911 in Brock Twp, Vallentyne, Ontario County, Ontario, Canada. 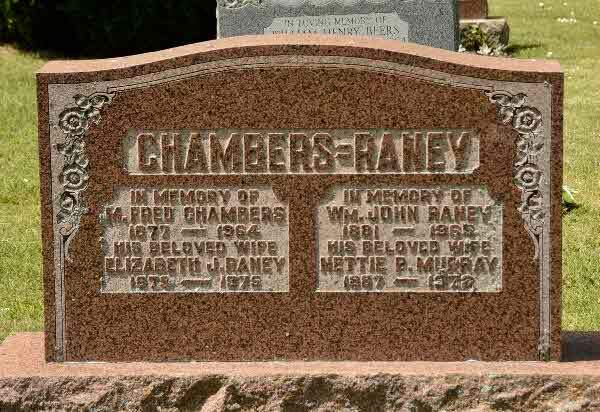 Burial* She was buried in Cannonsburg Cemetery, Belmot, Kent County, Michigan, United States. 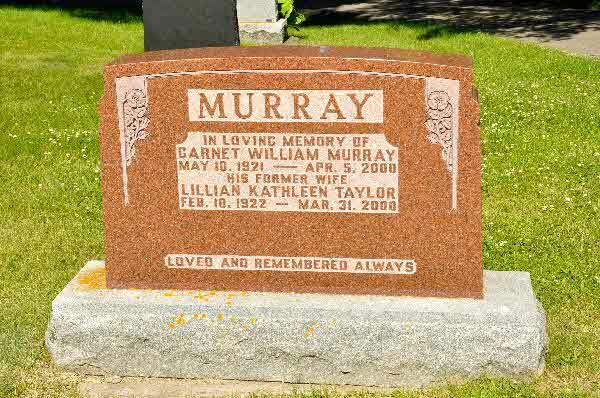 Burial* He was buried in Uxbridge Cemetery, Ontario County, Ontario, Canada. 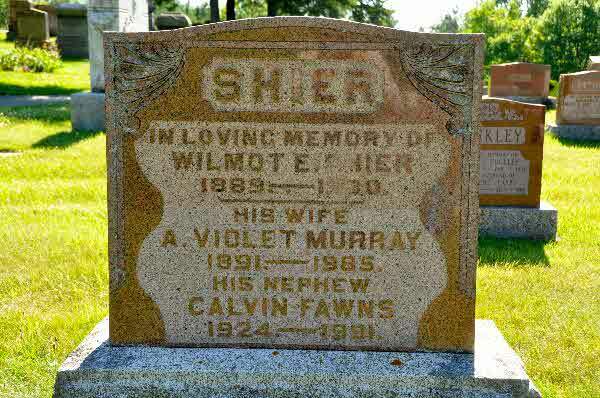 Burial* She was buried on 31 December 1920 in Ontario County, Ontario, Canada. 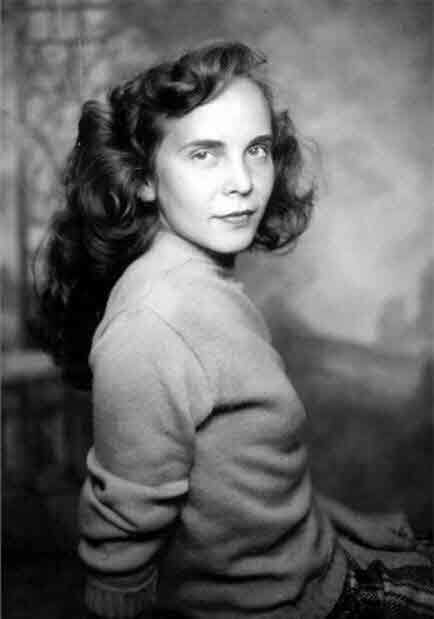 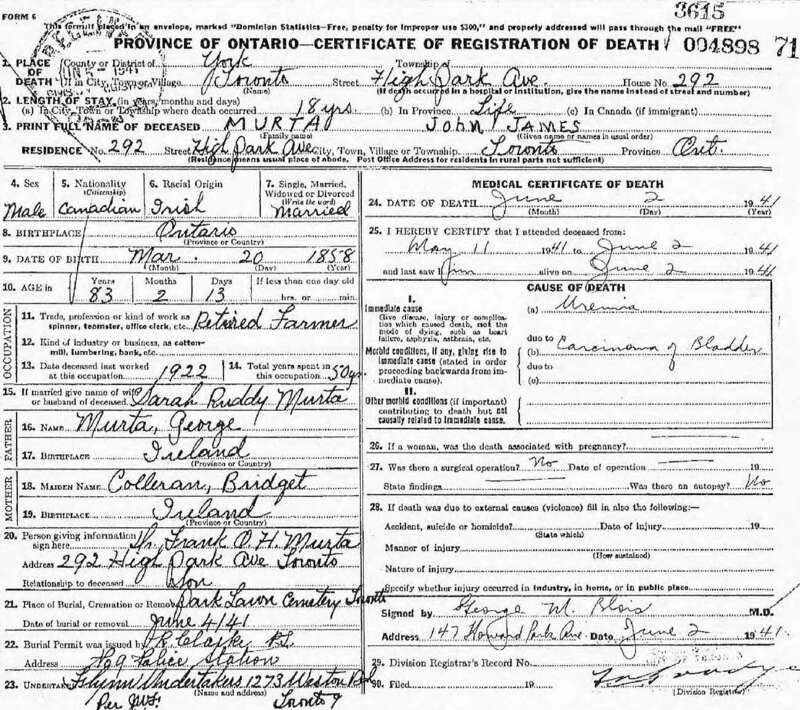 Birth* Emma Annie Jane Murta was born on 8 March 1899 in Ontario County, Ontario, Canada. 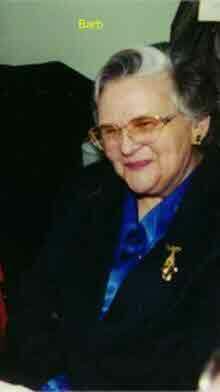 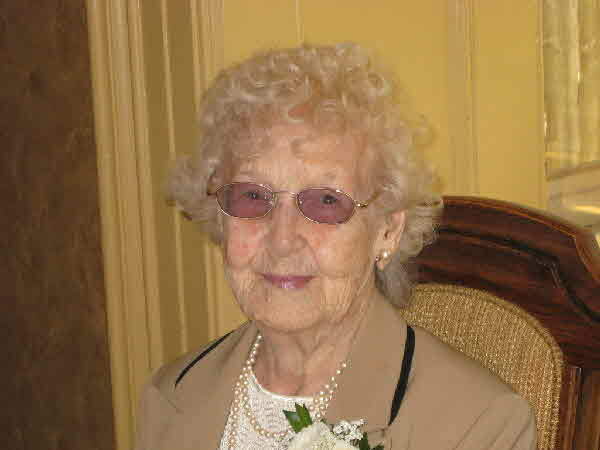 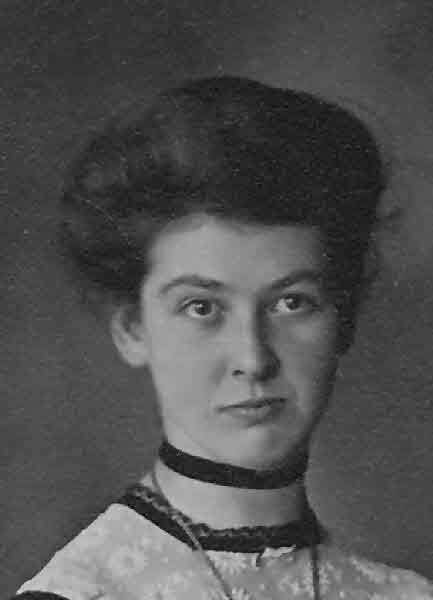 Birth* Emmah Annie Murta was born on 18 October 1897 in Ontario County, Ontario, Canada. 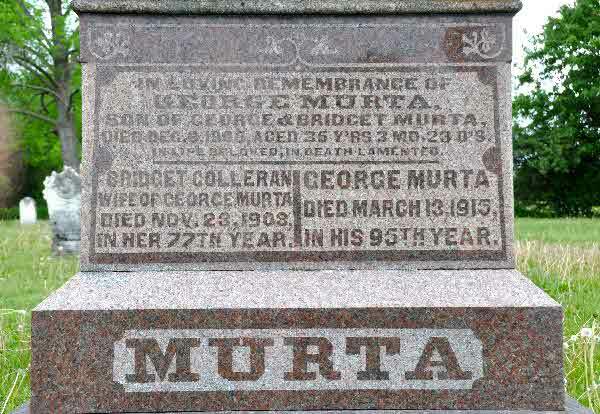 Death* George Murta died on 13 March 1915 in St. James West Brock Cemetery, Ontario County, Ontario, Canada. 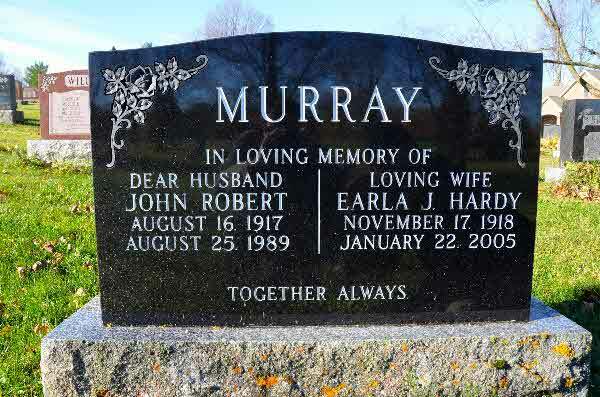 Burial* He was buried in St James West Brock Cemetery, Ontario County, Ontario, Canada. 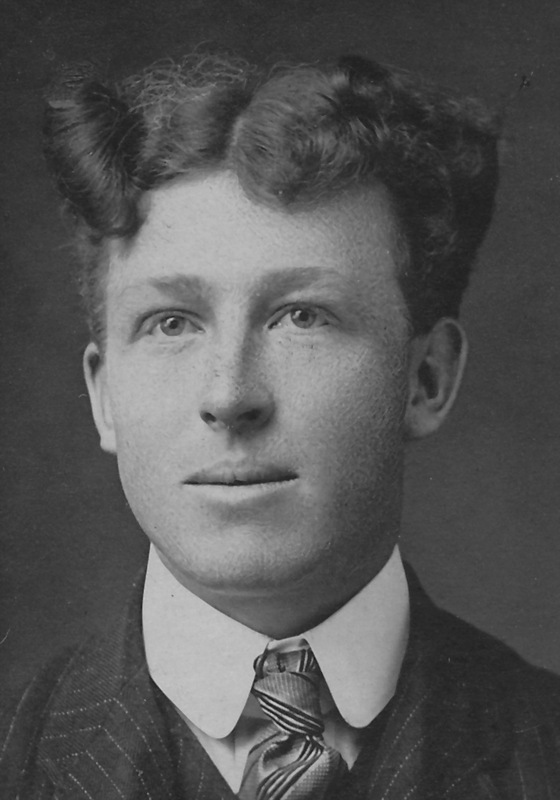 Death* John James Murta died on 2 June 1941 in Toronto, York County, Ontario, Canada, at age 83. 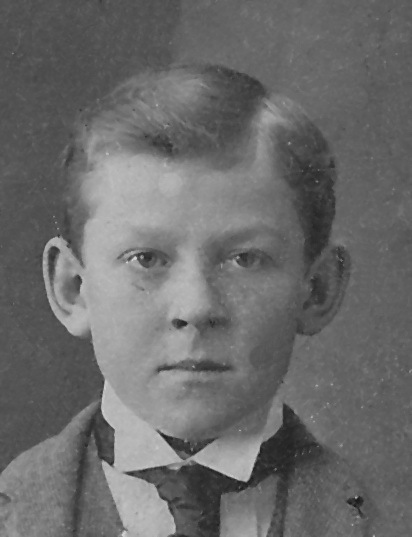 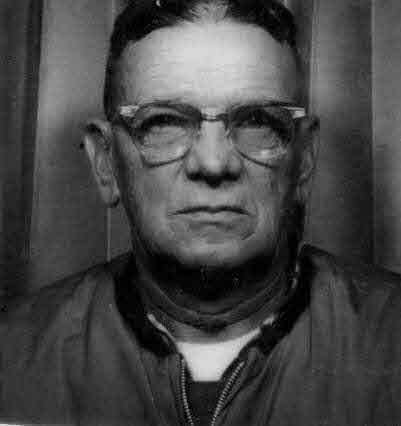 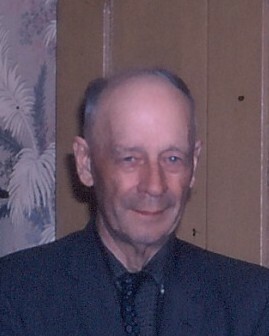 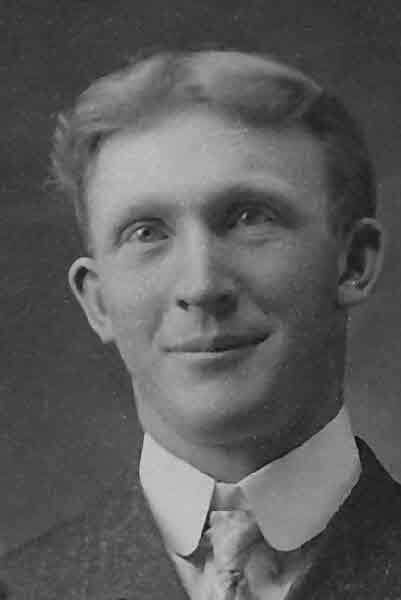 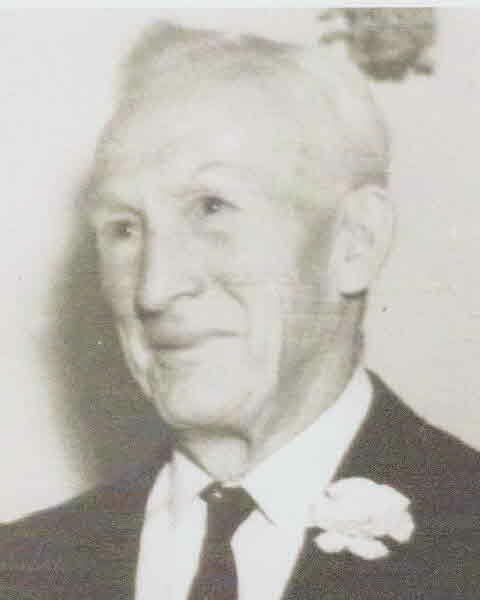 Birth* John James Murta was born on 18 June 1902 in Brock Twp., Ontario County, Ontario, Canada. 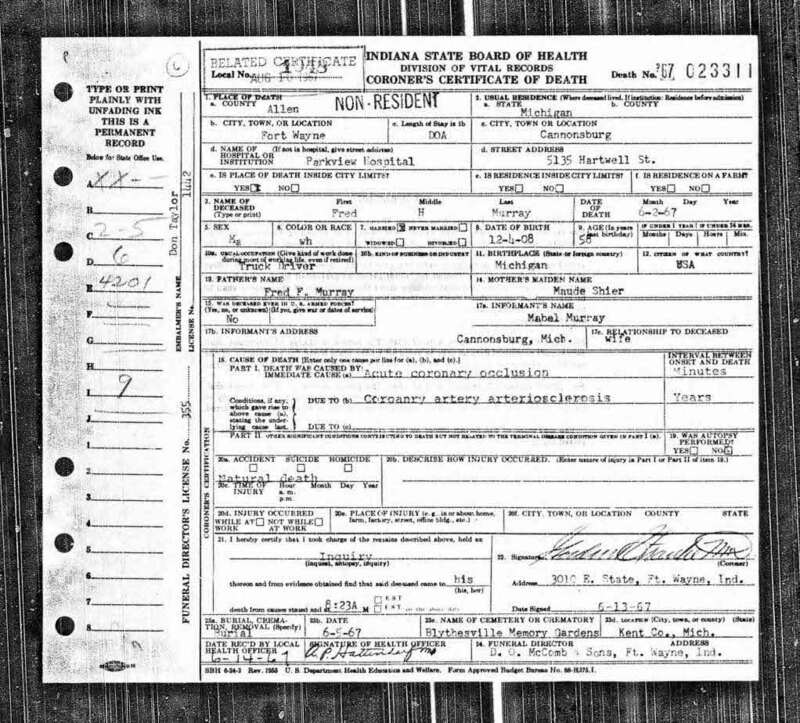 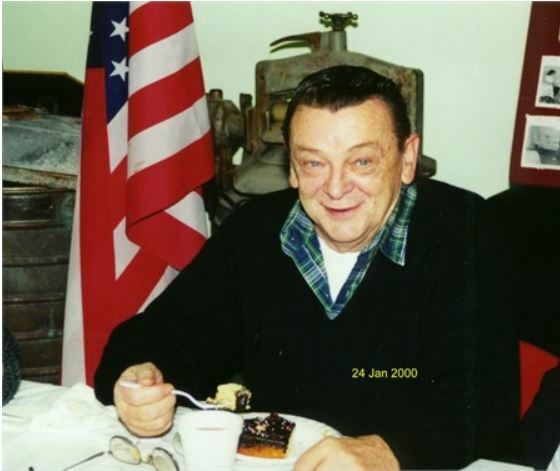 Marriage* He married Eugenia Gladys Speiran, daughter of James Speiran and Eugenia Warswick, on 14 February 1920 in Cuyahoga COunty, Ohio, United States. 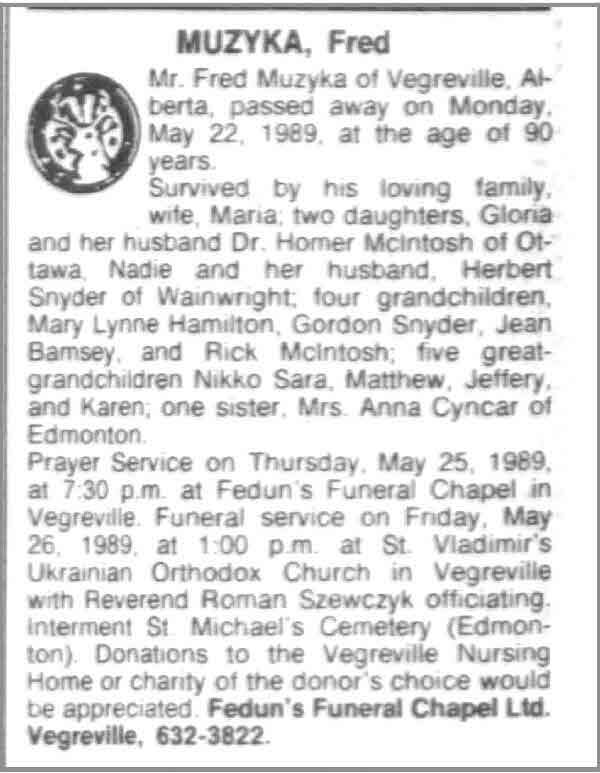 Burial* He was buried in St. Michael's Cemetery, Edmonton, Alberta, Canada. 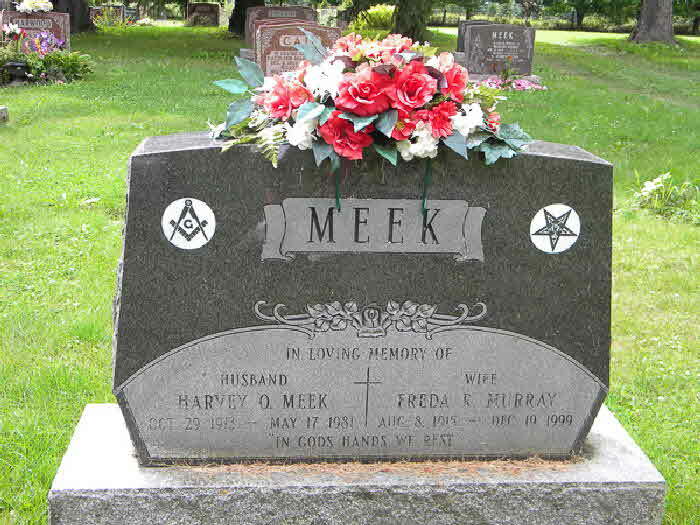 Burial* She was buried in Pinecrest Cemetery, Ottawa, Carleton County, Ontario, Canada.